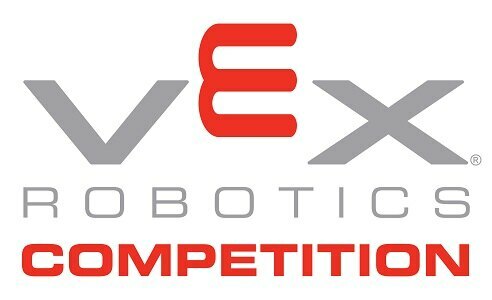 Click here for a complete list of all 2015 VEX Worlds Award winners. Tournament Champion 9090C T-VEX JAWZ The Mandarin Chinese School Arlington, TX, U.S. Tournament Champion 2131C Starfox Davis High School Kaysville, UT, U.S. Tournament Finalist 5408F Sachse Kronos I Sachse High School Sachse, TX, U.S. 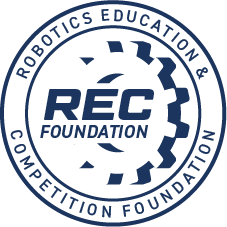 Tournament Finalist 118 Robonauts Clear Creek ISD League City, TX, U.S. Tournament Finalist 359A Hawaiian Kids Waialua High * Intermediate School Waialua, HI, U.S.
Design Award 9364A Iron Eagles Brentwood Academy Brentwood, TN, U.S. Tournament Finalist 400X Floyd III Team Xtreme / Ball High School Galveston, TX, U.S. Tournament Finalist 1200F 1200F Z-Ballers St. Mary Catholic High School Neenah, WI, U.S.
Amaze Award 169A The Cavalry Haverford School Robotics Haverford, PA, U.S. Build Award 323Z Aftershock Cornerstone Robotics Greenwood, IN, U.S.
Community Award 1270C Youth Technology Academy Cuyahoga Community College Cleveland, OH, U.S. Create Award 8086A Semiconductors Team Semiconductors Glen Allen, VA, U.S.
Design Award 1575A Athena Woodbridge Senior High School Woodbridge, VA, U.S. Judges Award 7110A Fired Up! Carroll Senior High School Southlake, TX, U.S.
Teamwork Award 7232 Cyber Pirates Belton High School Belton, MO, U.S. Tournament Champion 5408F Sachse Kronos I Sachse High School Sachse, TX, U.S. Tournament Champion 118 Robonauts Clear Creek ISD League City, TX, U.S. Tournament Champion 359A Hawaiian Kids Waialua High * Intermediate School Waialua, HI, U.S. Tournament Finalist 6135C CHHS Bruins C NCentral Hardin High School PLTW Cecilia, KY, U.S. Tournament Finalist 169B The Cavalry Haverford School Robotics Haverford, PA. U.S.
Amaze Award 974X Cyber Brains N. CO Community Team Berthoud, CO, U.S. Build Award 185A Skunkworks ALPHA BATC / Skunkworks Robotics Logan, UT, U.S. Create Award 8926 Combined IQ Oakbrook Preparatory School Spartanburg, SC, U.S.
Design Award 359A Hawaiian Kids Waialua High * Intermediate School Waialua, HI, U.S.
Energy Award 5691B ZHornet Engineering Blue Bryant High School Bryant, AZ, U.S. Judges Award 2059A Matadors Mira Loma High School Sacramento, CA, U.S.
Sportsmanship Award 6008A Angels in Beta North Union High School Richwood, OH, U.S. Think Award 5062A FVL Robotics A Fox Valley Lutheran High School Appleton, WI, U.S. Tournament Champion 4800 Brobot St. Francis High School La Canada, CA, U.S. Tournament Champion 9364 Iron Eagles Brentwood Academy Brentwood, TN, U.S. Tournament Finalist 6430B Trinity Dragons Trinity Dragons Robotics Club Lutz, FL, U.S.
Community Award 24B Super Sonic Sparks B SPARKS 4-H Club Westminster, MD, U.S. Create Award 4495A Wolverines A The Walker School Marietta, GA, U.S.
Design Award 9364 Iron Eagles Brentwood Academy Brentwood, TN, U.S. Think Award 7232C Cyber Pirates Belton High School Belton, MO, U.S. Tournament Champion 986A Lancers A Grace Brethren JH/High School Simi Valley, CA, U.S. Tournament Champion 8000A HRS Robohawks Head-Royce School Oakland, CA, U.S. Tournament Champion 5212A Infernos CRTC Electronics Burley, ID, U.S. Tournament Finalist 169Y The Cavalry Haverford School Robotics Haverford, PA, U.S.
Amaze Award 62 Kanagasabapathys Independent Cameron's house, CA, U.S. Build Award 26 IronWave Homeschool Greenville, TX, U.S.
Community Award 3273A Absolute Zero Wayne High School Wayne, WV U.S. Create Award 2114A Team Automata Team Automata Cave Creek, AZ, U.S.
Design Award 3946W Sun Devils Kent Denver School Englewood, CO, U.S.
Energy Award 127B Lemon Bots Campo Verde High School Gilbert, AZ, U.S. Judges Award 5327A Gael Force Dublin High School Dublin, CA, U.S.
Sportsmanship Award 2398K AI's - Kilo Sequoyah Schools Tahlequah, OK, U.S.
Teamwork Award 1575X Xcaliber Woodbridge Senior High School Woodbridge, VA, U.S. Tournament Champion 1826 The Fuse Faith Christian Academy Arvada, CO, U.S. Tournament Champion 177X Twisted Botz Head-Royce School Ashland, VA, U.S. Tournament Champion 1264B Dunwoody High School Dunwoody High School Dunwoody, GA, U.S. Tournament Finalist 9090A T-VEX The Mandarin Chinese School Arlington, TX, U.S.
Amaze Award 1200C 1200C Technical Breakdown St. Mary Catholic High School Neenah, WI, U.S. Build Award 355B Steel Pythons Fox Valley Robotics Batavia, IL, U.S. Create Award 929W Hereford Zone Robotics Hereford High School Hereford Zone Robotics Parkton, MD, U.S.
Design Award 6089 The Infinities The Harker School San Jose, CA, U.S. Judges Award 5369 THE DUCKIES Montego Robotics San Jose, CA, U.S.
Sportsmanship Award 7701 Olympic Steel Eagle I Zionsville Community High School Zionsville, IN, U.S.
Teamwork Award 323B Bot-E Builders Cornerstone Robotics Greenwood, IN, U.S.
Future Award (VRC/VEXU) Does not qualify for any events. Educate Award (VRC/VEXU) Does not qualify for any events. Teamwork Award (VRC/VEXU) Does not qualify for any events. Partner of the Year Award (WC) Does not qualify for any events. Sponsor of the Year (VRC/VEXU) Does not qualify for any events.